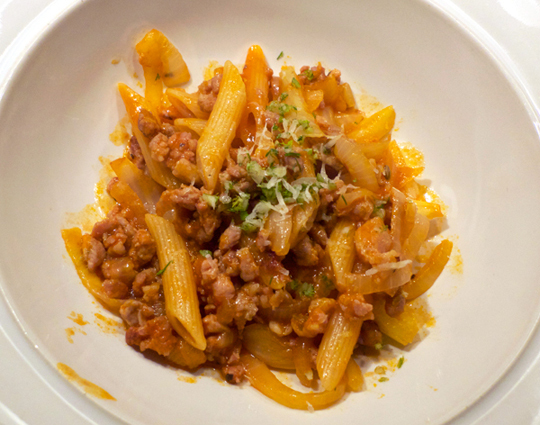 A simple and highly recommended Lidia Bastianich recipe for pasta with sausage and fennel. She always seems to make creative use of pasta water and wet pasta and the result is better bonding of sauce to gluten. 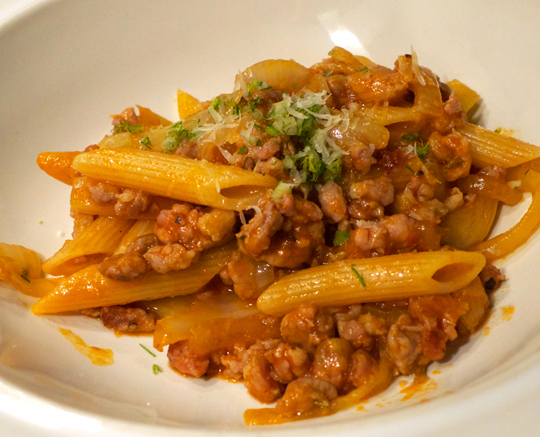 The keys seem to be: use really good Italian sweet sausage, allow each ingredient to caramelize separately, and carefully time the pasta and sauce to allow the two to combine properly. My poor photography skills do not do justice to this dish. I will be making it again.